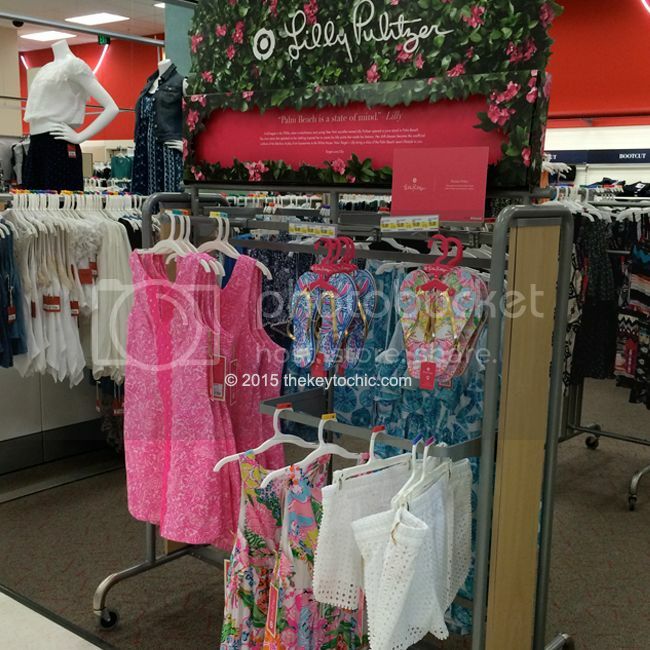 Shopping the Lilly Pulitzer for Target launch may not have taken you to your happy place, especially after the website crashed and went boom boom. It may even have felt as if you were swimming upstream in a wavepool after drinking pineapple punch at a cute boardwalk café. 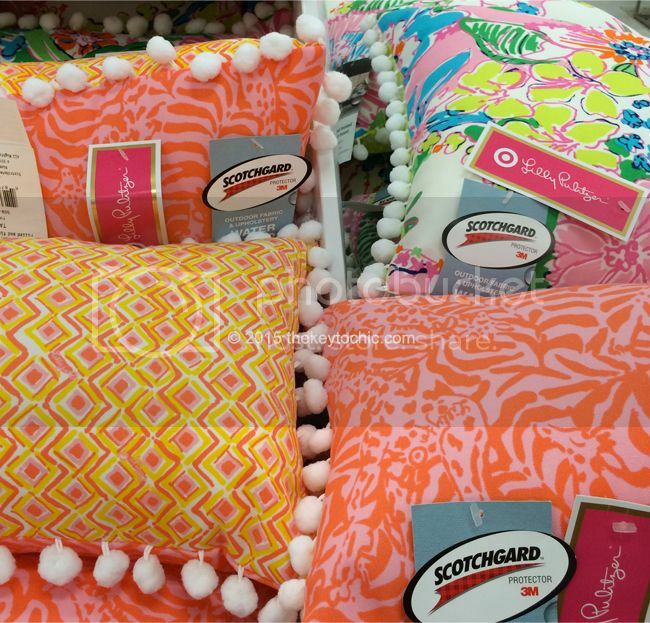 If shopping the collection online or in store didn't have you giraffing me crazy, then you might've been sea urchin for you while battling rabid Lilly-hungry shoppers. If you did score your nosie posey and giraffeeey shift dresses or that adorable belladonna bikini, perhaps you broke out into a triumphant fan dance. At any rate, the Lilly for Target collection brought together many my fans, and before you could say "Lilly spill the juice'", the merchandise went see ya later. 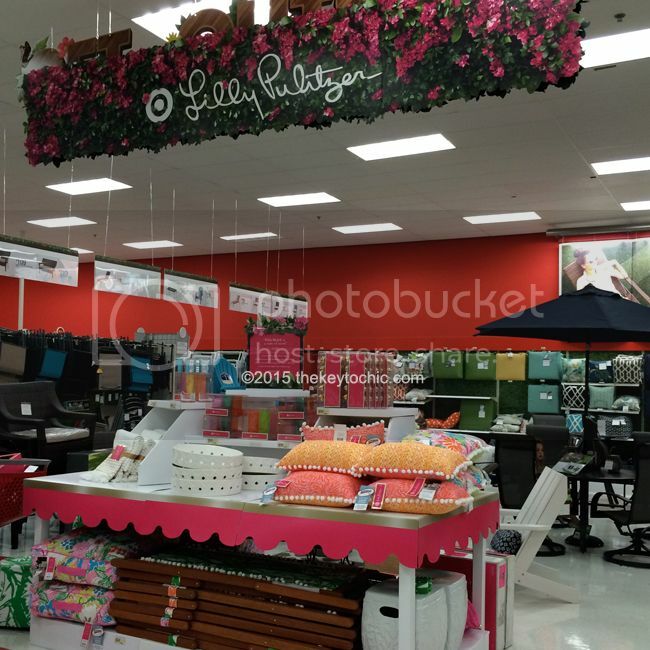 I arrived bright and early (although bleary-eyed) at my Target store to shop and review the Lilly for Target collection, try on my favorites, and share my thoughts. A brief background - I'm a devoted Target shopper and collaboration enthusiast/veteran, and I was looking forward to injecting my closet with some preppy Palm Beach resortwear. As for the online launch on Saturday night/early Sunday morning, it went as poorly as could be, with items popping up on the mobile site first, and then disappearing. 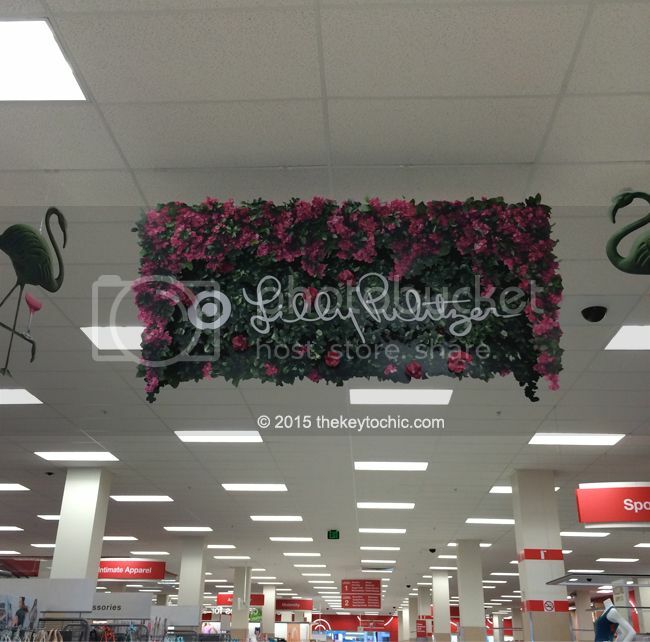 Soon after, items showed up on Target's site, and it all went downhill from there. The site crashed multiple times with several Twitter updates and apologies from Target and an increasing amount of angry, tired shoppers. Fortunately, I was able to place a few orders (mostly Girl's clothing) after much effort and persistence. Not surprisingly, the shift dresses were amongst the most sought after pieces, and sold out unbelievably fast. Between the online shopping struggles and my early morning shopping, I had almost no sleep on Saturday night, hence the delay in writing this review. Now that I've had a good night of sleep, my mind is ready to process everything that happened. Here's how my in-store experience went. I arrived at the store at 7:15am to see three well-caffeinated young ladies in line. After waiting in my car for fifteen minutes for my shopping partner to arrive, we joined the line. They instantly greeted us with a smile and asked me why I was so dressed up. I grinned shyly and quickly glanced down at myself. My Sunday morning outfit was planned out with careful thought the night before: cropped skinny jeans (Old Navy 'Rockstar' favorites), a quilted floral jacket from Zara, a white lace tank top (like this one), and beige lace-up wedges. My #ootd was comfortable and easy to shop in, as well as mix and match with Lilly for Target pieces for my fitting room review. I wouldn't consider that to be dressed up, but in my area, anything other than flip flops and leggings is dressy to some people. While waiting, we chatted about the lookbook, shared thoughts on the East Coast shopping reports, and stood patiently as more people arrived. In my area, we don't form a line, we just cluster around the doors calmly. Some shoppers grabbed shopping carts while others scoped out the growing group of people that had formed. 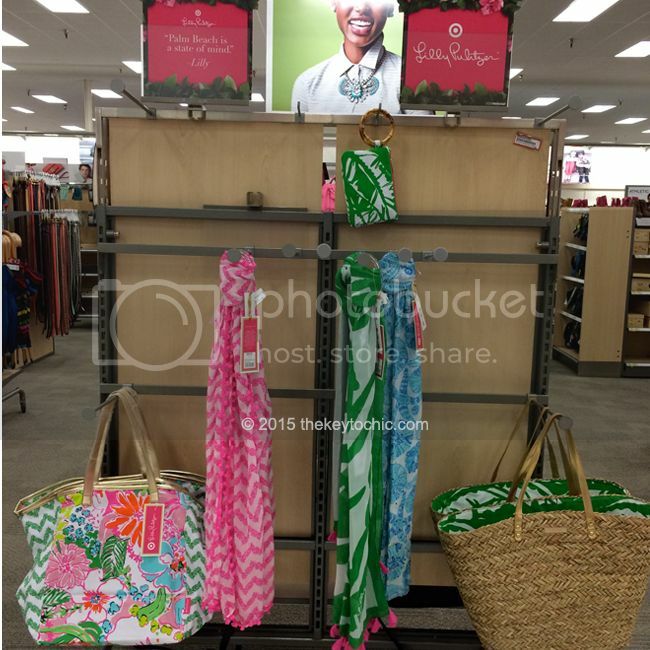 I noticed that nobody was wearing Lilly! By the time the store opened at 8am, I counted about 20 people. The crowd was mostly young women, with a few familiar faces from previous Target collections, in addition to three middle-aged men who may have been resellers. My first stop was apparel, where there were only two racks. Most items were present in only one of each size. The lack of inventory in this store was a major disappointment. I visited five stores on Sunday and observed how different the inventory was from store to store. For example, one store had a bevy of home goods, while other stores had almost no home goods and more of the sandals and accessories. Another store had all the beauty merchandise, while another had lots of toddler and girl's clothing. Selection seemed random and varied widely. A lot of you were asking me on Twitter where I shopped, and I'm located in southern California. We didn't experience the kind of demand that East Coast shoppers were reporting. I felt really lucky. Here's a look at various departments in the stores I visited. Interestingly enough, I found the plus size romper in happy place (see the 10th photo below), and I thought all plus sizes were online only. Fun signage designated each display throughout the store. How the racks looked at 8:36am in store #1. The flounce dress wasn't very popular in giraffing me crazy. The strapless jumpsuit in upstream (below on the left) was a top seller. I've found a great substitute version in a pretty blue tropical print and another floral version I'm eyeing for $30. If you weren't able to get the strapless maxi in nosie posey, this is a similar style in a gorgeous floral print under $85. The jumpsuit and palazzo pants in boom boom sold quickly in the store I visited. 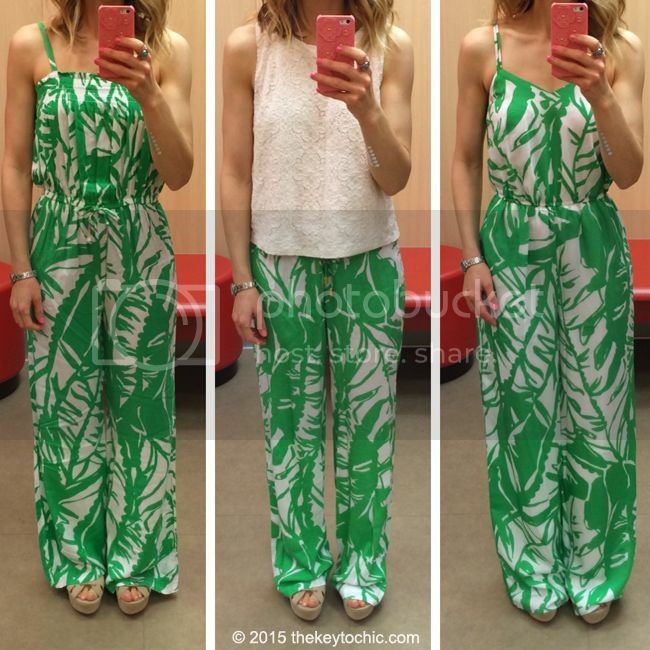 This strapless Lilly jumpsuit for 2016 is a cute alternative. If you missed out on the Lilly for Target romper, this floral print style under $50 is a really cute alternative. As for printed pants, Target has this many cute look alikes. 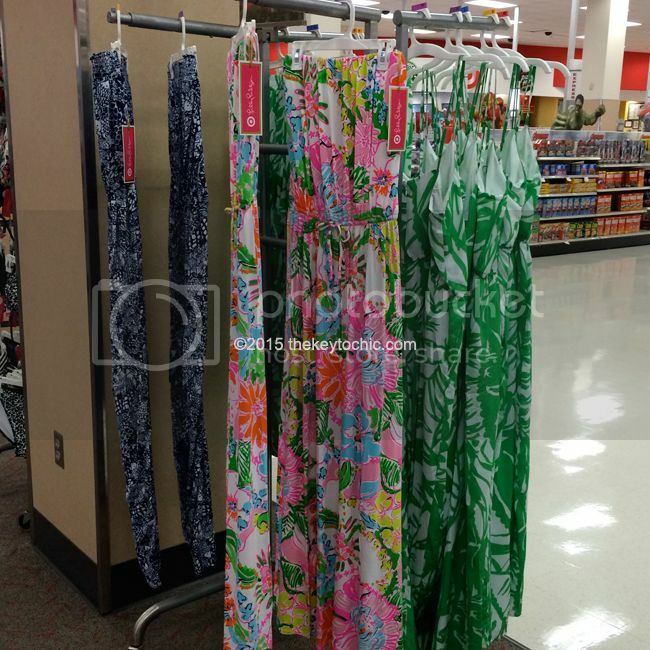 I love these Lilly linen beach pants which come in many different prints. 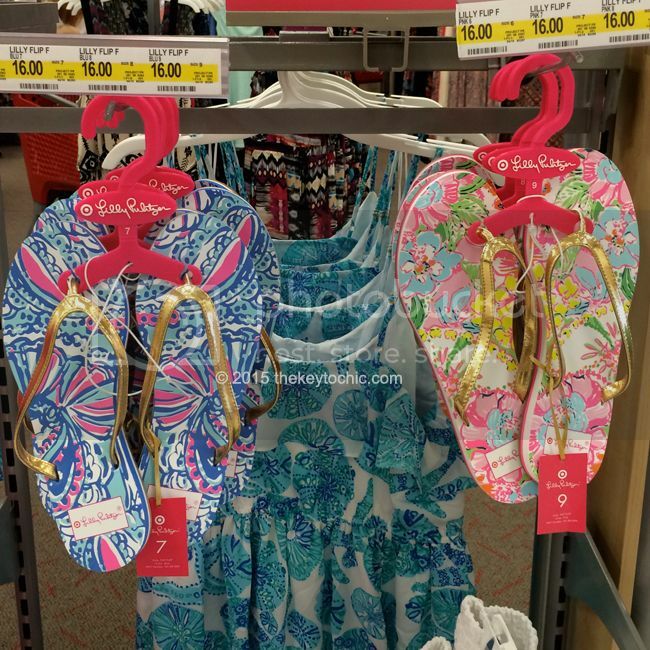 Flip flops were left untouched while shoppers opted for the eyelet shorts instead. If you missed out on the flips flops, score the real deal under $35 or here for $32. I really wanted the pom pom shorts in upstream, but wasn't able to buy them. 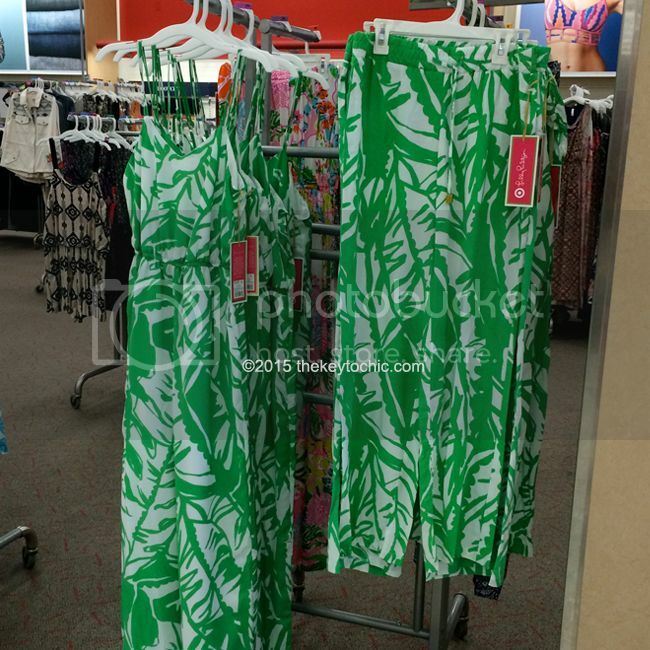 Fortunately, there are lots of affordable alternatives to all the Lilly for Target shorts, like this 2016 Lilly style for $58 in three prints. Wristlets and small accessories flew off the shelves, with only a few bags and scarves left for late shoppers. Snag the real deal with a wristlet under $50, an iPhone 5 case for $32, an iPhone 6 case for $32, or a pretty scarf under $90. 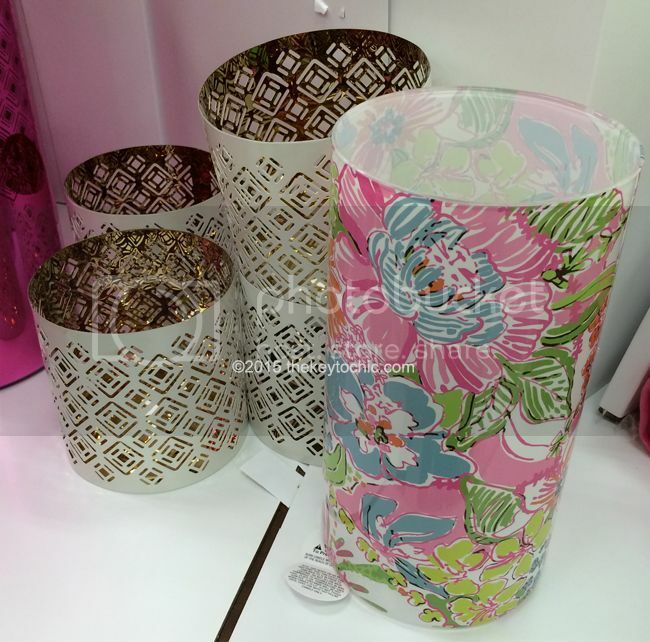 Shop more main line Lilly Pulitzer accessories for 2016 starting at $32. Candle holders looked pretty on the shelves, but shoppers weren't buying them. This set of 4 votive candles is $38 is a cute alternative or gift idea. A look at the home goods. Nobody wanted the hammock, teak chairs, pouf, floor cushions, or serving trays at this store. I noticed that the serving tray was quite heavy and well made. The pouf felt like a bean bag and was fairly comfortable. I noticed that the mugs and dessert plates (while really cute) are dishwasher safe but not microwave safe. Shop these pretty floral dinner plates under $25 if you missed out on the Lilly ones. The plus sized romper in happy place was available at the third store I visited. (Looking for alternatives? Here's a pretty alternative in a teal abstract print in plus sizes under $25. The printed pillows are stain resistant and great for outdoor use, and while thick, they didn't feel as soft as I'd hoped. Cute pom poms, though! I found a gorgeous floral pillow for under $50 and another floral set of two that are nice substitutes if you weren't able to get the Lilly ones. On to the fitting room photos. For reference, I tried on a size 2 and XS in women's or XL in girl's. I'm petite and I weigh 101 lbs. The strapless jumpsuit in upstream (shop similar or shop this look alike Lilly Pulitzer style) felt baggy and didn't flatter me. It's made of thin rayon and while I really liked the print, the silhouette wasn't for me. In the middle is the crisp Girl's shift dress in sea urchin for you. The XL was A-line and quite shapeless on me, and the back zipper was tricky. I liked the pink accent embroidery and the full lining, but not the overall loose fit. On the right is the nosie posey tank top, which wasn't on my wish list but felt very comfortable, although longer in length than what I prefer. It's probably best for women with a longer torso than myself. It has a cute pineapple zipper pull, a good quality center back zipper (see my tweet), and is made of medium weight rayon with a lining. Above are the boom boom prints. On the far left is the girl's jumpsuit in XL. It's made of lightweight rayon (prone to wrinkles) with an elastic waist and faux waist tie. It's a little loose on me, and does not have pockets. The palazzo pants in XS (worn with a Forever 21 lace top like this one) ran big on me. They are more Target quality than Lilly Pulitzer. If you missed out on these pants, then try the Lilly Pulitzer 'Cambridge' pants instead. If you missed out on the crochet tank top, this one by Volcom is a great alternative. On the right is the women's satin jumpsuit, which felt more dressy and heavy than the girl's version. It's fully lined and has pockets. Both jumpsuits have adjustable straps and are super comfy. If you missed out on the boom boom jumpsuit, this $60 style by Billabong is similar. The halter tops weren't on my wish list, so I tried one on out of curiosity. It runs big on me and is fully lined. It's a pull-on trapeze style with cute gold braiding on the straps. I love it with white skinny jeans or shorts for summer. In the middle is the only women's shift dress any of my stores had - in see ya later. The pink is really bright in person, the center embroidery is almost neon. The size 2 runs small, has a full lining, and is very structured and well tailored compared to the girl's XL shift dresses. It's not quite Lilly quality, but better than most of Target's shift dresses. The hem is scooped on the sides, giving it a sporty vibe. The center back zip was slightly tricky for me. If you didn't score the shift dress you wanted, here's a great alternative by Lilly under $180, and another floral shift dress under $50 that I love. On the right is the flounce dress in sea urchin for you. It runs big on me and is very comfortable. I think it would be perfect for a summer soirée. If this dress eluded you, here's a similar Lilly style for $108. The strapless maxi in nosie posey runs tight in the banded top and waist area. It's stretchy and very comfortable. It's made of heavy rayon with 5% spandex for stretch. I like it with wedges and a cute necklace for casual days. Get the real deal for under $200. In the middle is the embroidered tunic and the girl's shorts in my fans. I ordered the shorts online, but my order still hasn't shipped. 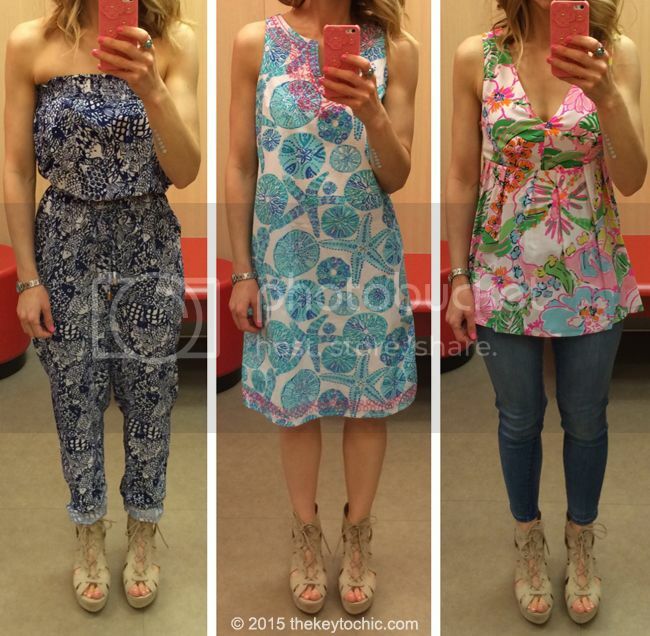 (Shop a printed tunic for $108 by Lilly Pulitzer.) The tunic was soft and long in length so I tucked it in. I didn't think it was special enough to take home. My top pick is the girl's romper in my favorite print of the collection - nosie posey. It has pockets, cute floral embroidery at the neckline, is made of lightweight rayon, and has adjustable straps. I love this one so much, and I ordered it online, but my order hasn't yet shipped. Fingers crossed. 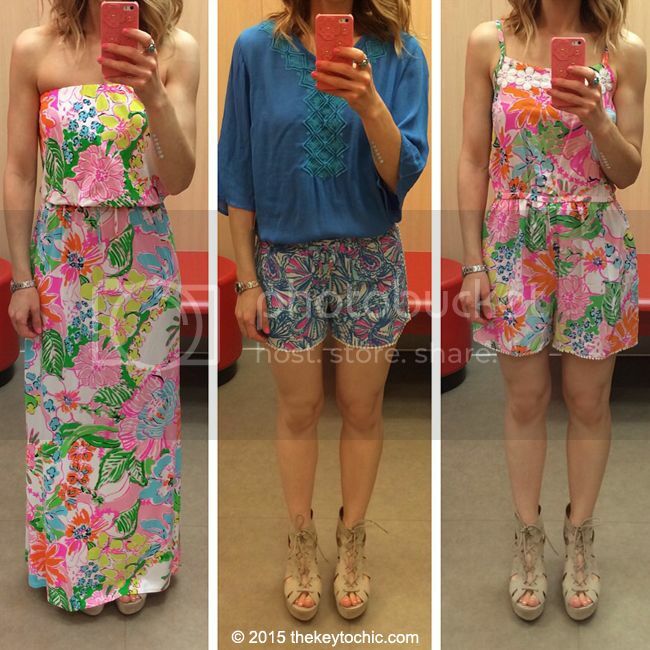 If you missed out on the rompers, here's a cute Lilly version under $160. This tropical floral MINKPINK romper for $79 is a good substitute for the happy place one. If you missed out on the high waisted swimwear, this tropical print bikini with high-waist bottoms is a great alternative for spring 2016. 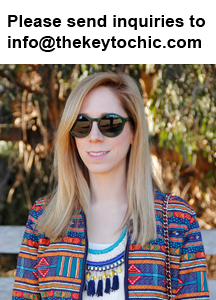 Here's a peek at how I wore the girl's jumpsuit in boom boom today with a Merona denim jacket and J.Crew sunglasses. 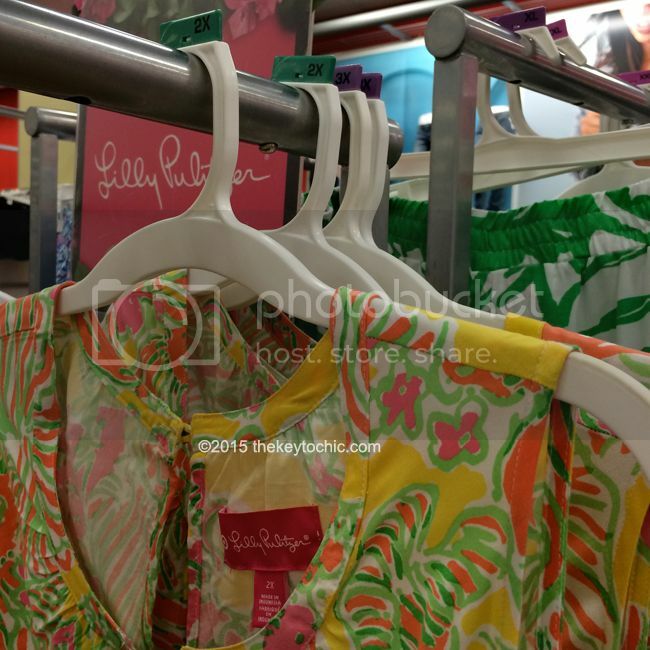 If you weren't able to score your favorites, read my 14 Lilly for Target shopping tips, and if you were successful in your shopping, get styling ideas for how to wear your new Lilly pieces with my post featuring 6 head-to-toe Lilly looks. 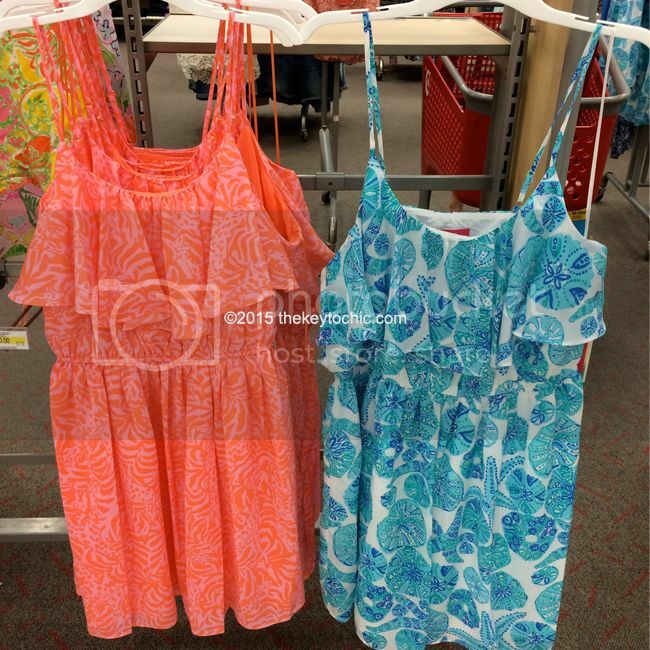 Before I wrap up this review, I also want to share some lessons learned in the hopes that the folks at Target listen to their customers and make some changes for future capsule collections. By not improving the shopping experience, they risk alienating many people and ruining the whole point of these "masstige" collections, which is to expose many consumers to a higher end brand and make it available at lower price points. Why buy something for more from resellers when you can get the real designer version for less? It defeats the purpose of these collections, and dampens enthusiasm and goodwill towards Target. I have to admit that they are clever marketers and I respect their savvy style when it comes to building buzz around these collections. 1. Place quantity limits on in-store purchases to discourage resellers and give everyone a chance to buy. If there are two racks of clothing and 150 people in line, most shoppers don't stand a chance of getting anything. Watching people hoard and fight over material goods is demoralizing. 2. Refresh or restock your inventory after the initial launch. I understand that you want a successful launch, empty shelves, and a reduction in markdown, but more people are going to become disenchanted with these capsule collections if they become too difficult to shop and there aren't enough items in stock. Just increase your supply so that it's not gone within 5 minutes. 3. Fix your website and prepare for increased demand during online launches. Nobody wants to stay up all night to try and shop online, and then wake up early to shop in store. I am passionate about fashion, but I love going to bed before midnight, and my days of pulling all nighters are over. 4. Plus sizes should not be online only. Given how poorly the online launch went, the plus size shoppers barely had a chance. They are a demographic not to be ignored. They should have the same selection in stores as non plus sizes. 5. Keep us informed about how and when to shop. H&M does this well with their wristband method when shoppers line up for their bi-annual collection launches. They also designate a time to shop online, although their site crashes as well. There has to be a better way! Come on tech people, brainstorm some solutions! Catch up with me on Twitter, Facebook, Pinterest, and Instagram.